Click on the bars below to all the subdivisions and condo & townhome complexes in Centennial. You can also view the most popular searches such as ranch style homes, new construction, homes with a pool or houses with mountain views. Click to see Local Subdivision and Complex Maps. What is Your Centennial Home Worth? Centennial is one of the largest municipalities south of Denver, providing fantastic links to the city and a direct passage to the natural wonders of the Rocky Mountains. While the peaks in the distance provide a constant reminder of the beauty of Colorado - a beauty Centennial eagerly embraces - the city is also a true urban hub. A mix of stunning vistas and access to quality amenities, it’s little wonder Centennial CO has become a bona fide hit amongst potential property buyers. Also, worth noting is the true community spirit in the town, which extends to enviable schools and infrastructure. Indeed, Centennial is the 15th safest city in the United States. Newcomers to Centennial Colorado seeking a new home will be instantly impressed with the variety of subdivisions on offer. Security is already high on the agenda in the ultra-safe Centennial, but added home-security can be sought in the gated communities of Valley Country Club, Southwood, and Heritage Greens. As one of the most sought-after towns in Colorado, Centennial sees constant community development and the newest subdivisions include Cherrywood Village, Greenfield, Marvella, Piney Creek Ranches, and Southcreek. Colorado is a land of the outdoors and one can rarely ignore the splendours of Mother Nature. With that in mind, homes with enough space to feel at one with nature are popular in Centennial, which is why the 1+ acre plots at Antelope, Arapahoe Heights, Chapparal, Estancia, and Saddle Rock Ranches are so desirable. Of course, as a city of over 100,000 people, urbanity is a big piece of what makes Centennial CO such a potent mix. Homeowners seeking something closer to the hustle and bustle will enjoy the new communities of Pioneer Hills, Sunset Terrace at Quincy Overlook, and Trails Edge. Centennial is a large municipality that covers a lot of land south of Denver. As one of the most popular cities in Colorado, the town has succeeded in becoming a melting pot of cultural attractions, restaurants, retail complexes, and entertainment. Centennial Center Park is an open space in the heart of the downtown area that sits on the edge of the massive Cherry Creek State Park. Truly a central hub of the Centennial community, Center Park is an 11-acre space that includes play areas, a stage for live events, and a splash park. Year-round community events are held in the park, from festivals, theater, and music.See a complete list of attractions and things to do in Centennial. When considering Centennial CO as a place to live, it is really a question of checking off all the positives. Excellent locations, a strong community spirit, and a diverse range of homes and subdivisions are all on offer. By working with a dedicated and expert agent from Gold Compass Real Estate, you can gain the confidence to pursue the Centennial home of your dreams. While people are flocking to Centennial for its various positive points, you may want to sell a property within the town. Gold Compass are experts with local knowledge of the real estate market in Centennial Colorado. We will provide a Centennial Home Value Instantly Online and contribute expert advice on valuation and organizing a free staging consultation. At Gold Compass Real Estate, we work directly with clients for the best possible results. Our team comprises professional real estate agents with local knowledge. We update our online listings regularly so that you can see the most up-to-date properties available in Centennial and assess the market. Clients are also given a Free Personalized Market Report, which is an excellent resource for understanding the local market. 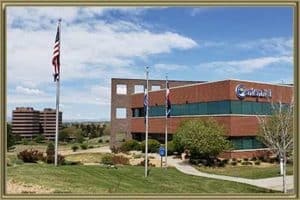 For more information about selling or buying a property in Centennial Colorado, contact us at 303-325-5690 and speak to one of our experienced agents.